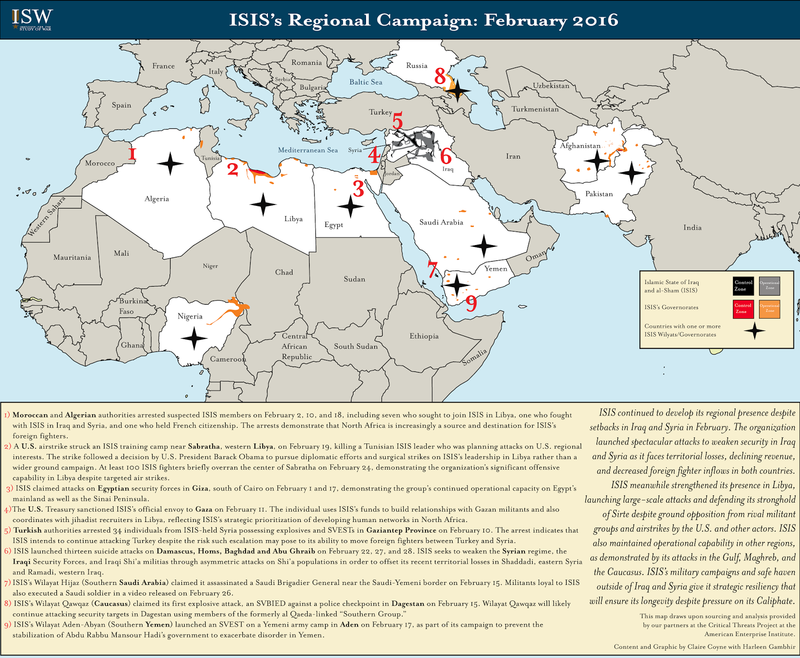 ISIS continued to develop its regional presence despite setbacks in Iraq and Syria in February. 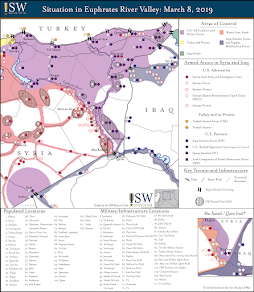 The organization launched spectacular attacks to weaken security in Iraq and Syria as it faces territorial losses, declining revenue, and decreased foreign fighter inflows in both countries. ISIS meanwhile strengthened its presence in Libya, launching large-scale attacks and defending its stronghold of Sirte despite ground opposition from rival militant groups and airstrikes by the U.S. and other actors. ISIS also maintained operational capability in other regions, as demonstrated by its attacks in the Gulf, Maghreb, and the Caucasus. ISIS’s military campaigns and safe haven outside of Iraq and Syria give it strategic resiliency that will ensure its longevity despite pressure on its Caliphate. 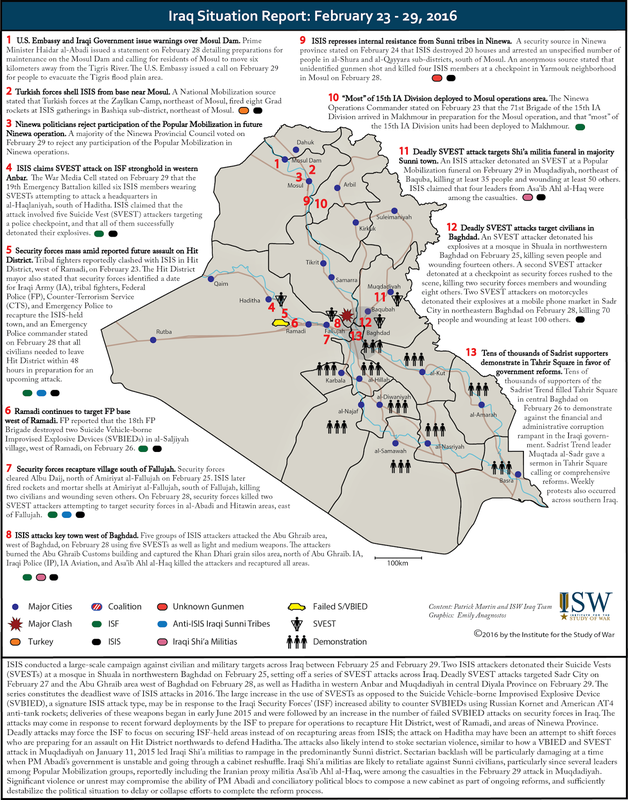 Key Take-Away: ISIS conducted a large-scale campaign against civilian and military targets across Iraq between February 25 and February 29. Two ISIS attackers detonated their Suicide Vests (SVESTs) at a mosque in Shuala in northwestern Baghdad on February 25, setting off a series of SVEST attacks across Iraq. 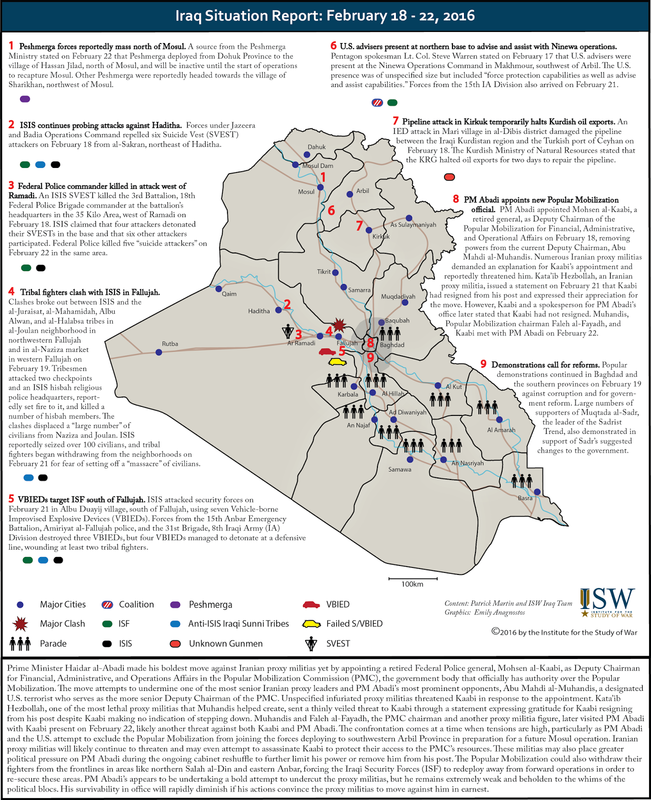 Deadly SVEST attacks targeted Sadr City on February 27 and the Abu Ghraib area west of Baghdad on February 28, as well as Haditha in western Anbar and Muqdadiyah in central Diyala Province on February 29. The series constitutes the deadliest wave of ISIS attacks in 2016. The large increase in the use of SVESTs as opposed to the Suicide Vehicle-borne Improvised Explosive Device (SVBIED), a signature ISIS attack type, may be in response to the Iraqi Security Forces’ (ISF) increased ability to counter SVBIEDs using Russian Kornet and American AT4 anti-tank rockets; deliveries of these weapons began in early June 2015 and were followed by an increase in the number of failed SVBIED attacks on security forces in Iraq. The attacks may come in response to recent forward deployments by the ISF to prepare for operations to recapture Hit District, west of Ramadi, and areas of Ninewa Province. Deadly attacks may force the ISF to focus on securing ISF-held areas instead of on recapturing areas from ISIS; the attack on Haditha may have been an attempt to shift forces who are preparing for an assault on Hit District northwards to defend Haditha. The attacks also likely intend to stoke sectarian violence, similar to how a VBIED and SVEST attack in Muqdadiyah on January 11, 2015 led Iraqi Shi’a militias to rampage in the predominantly Sunni district and destroy six mosques. Sectarian backlash will be particularly damaging at a time when PM Abadi’s government is unstable and going through a cabinet reshuffle. Iraqi Shi’a militias are likely to retaliate against Sunni civilians, particularly since several leaders among Popular Mobilization groups, reportedly including the Iranian proxy militia Asa’ib Ahl al-Haq, were among the casualties in the February 29 attack in Muqdadiyah. Significant violence or unrest may compromise the ability of PM Abadi and conciliatory political blocs to compose a new cabinet as part of ongoing reforms, and sufficiently destabilize the political situation to delay or collapse efforts to complete the reform process. Key Takeaway: Russia has continued its air campaign in support of Syrian President Bashar al-Assad, despite the ongoing cessation of hostilities agreement that began on February 27. 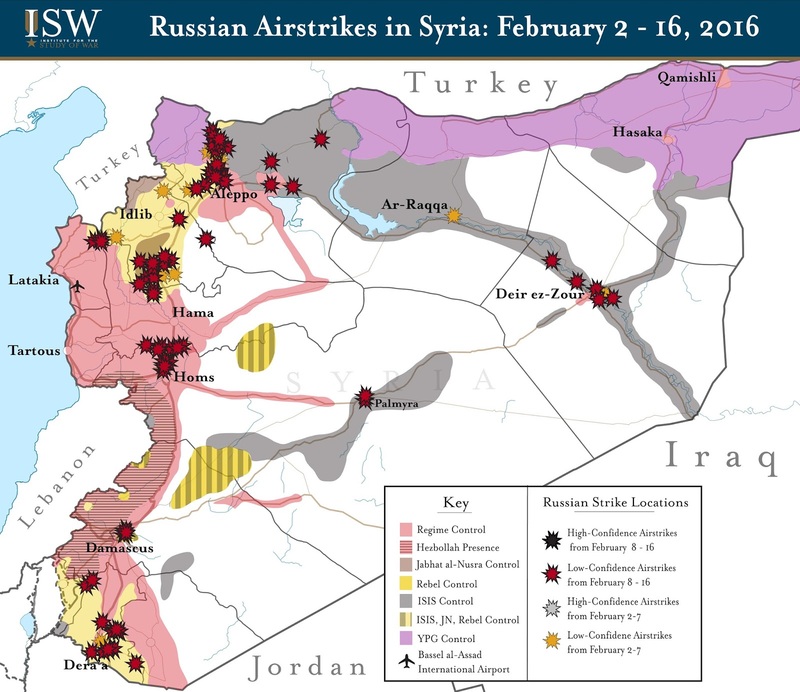 Russian airstrikes concentrated in opposition-held areas of northwestern Syria on February 28, following a lull in Russian airstrikes on February 27. The ceasefire, however, is largely holding, despite accusations from both pro- and anti-regime elements of violations of the agreement. The Russian MoD reported nine violations of the ceasefire by “terrorist” groups, “moderate” opposition factions, and Turkey. Head of the opposition High Negotiations Committee (HNC) Riad Hijab accused Russian warplanes of conducting 26 airstrikes on February 28 targeting opposition factions that have announced their commitment to the truce. Hijab stressed that “negotiations will be unfeasible” amidst continued Russian use of cluster munitions and persistent violations of the ceasefire by the Syrian regime and its allies resulting in civilian casualties. Russian airstrikes have reportedly targeted the headquarters of U.S.-backed TOW anti-tank missile recipient Firqat al-Wasta in northern Hama Province on February 29. The likely continuation of Russian and regime air operations against mainstream elements of the opposition throughout western Syria under the guise of fighting terrorism will ultimately threaten the stability of any sustainable ceasefire agreement. 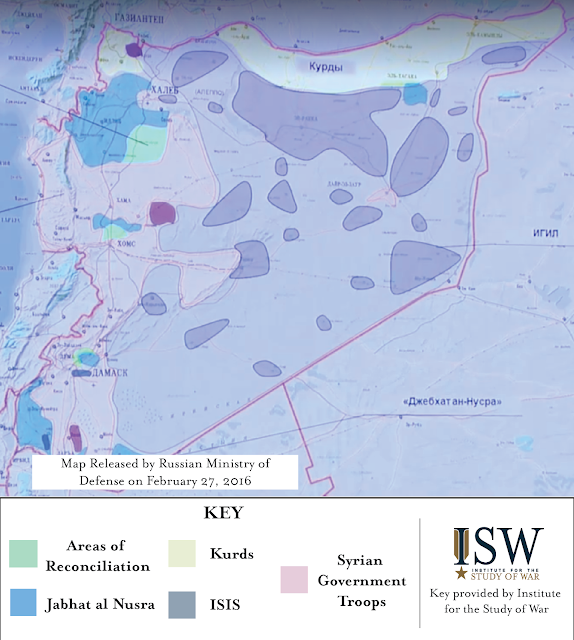 The following graphic depicts ISW’s assessment of Russian airstrike locations based on reports from local Syrian activist networks, Syrian state-run media, and statements by Russian and Western officials. This map represents locations targeted by Russia’s air campaign, rather than the number of individual strikes or sorties. High-Confidence reporting. ISW places high confidence in reports corroborated both by official government statements reported through credible channels and documentation from rebel factions or activist networks on the ground in Syria deemed to be credible. Low-Confidence reporting. 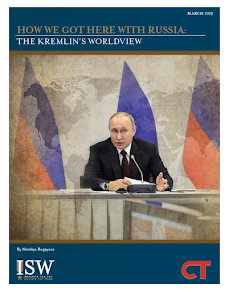 ISW places low confidence in secondary sources that have not been confirmed or sources deemed likely to contain disinformation. Russian airstrikes intensified significantly in the hours before the ceasefire went into effect on February 27, with local reports claiming that as many as 100 Russian strikes targeted areas in northern Aleppo Province, alone. Russian strikes were concentrated in western Aleppo Province, northern Homs Province, and in the Eastern Ghouta suburbs of Damascus in the ten days leading up to the ceasefire. Russia nonetheless restarted its air operations against the Syrian opposition in areas of northwestern Syria on February 28, following a 24-hour lull in strikes. The “cessation of hostiles” agreement as defined by Russia is far from a nationwide ceasefire. The Russian Ministry of Defense released the above map on February 27, stating that Russian air operations have “completely stopped” in areas highlighted in green. Russia continues to inaccurately portray the majority of opposition-held Syria as Jabhat al Nusra-controlled, represented in blue in the map above. The likely continuation of Russian air operations against mainstream elements of the opposition throughout western Syria under the guise of fighting terrorism will ultimately threaten the stability of any sustainable ceasefire agreement. Key Take-Away: Prime Minister Haidar al-Abadi made his boldest move against Iranian proxy militias yet by appointing a retired Federal Police general, Mohsen al-Kaabi, as Deputy Chairman for Financial, Administrative, and Operations Affairs in the Popular Mobilization Commission (PMC), the government body that officially has authority over the Popular Mobilization. The move attempts to undermine one of the most senior Iranian proxy leaders and PM Abadi’s most prominent opponents, Abu Mahdi al-Muhandis, a designated U.S. terrorist who serves as the more senior Deputy Chairman of the PMC. Unspecified infuriated proxy militias threatened Kaabi in response to the appointment. Kata’ib Hezbollah, one of the most lethal proxy militias that Muhandis helped create, sent a thinly veiled threat to Kaabi through a statement expressing gratitude for Kaabi resigning from his post despite Kaabi making no indication of stepping down. Muhandis and Faleh al-Fayadh, the PMC chairman and another proxy militia figure, later visited PM Abadi with Kaabi present on February 22, likely another threat against both Kaabi and PM Abadi. The confrontation comes at a time when tensions are high, particularly as PM Abadi and the U.S. attempt to exclude the Popular Mobilization from joining the forces deploying to southwestern Arbil Province in preparation for a future Mosul operation. Iranian proxy militias will likely continue to threaten and may even attempt to assassinate Kaabi to protect their access to the PMC’s resources. These militias may also place greater political pressure on PM Abadi during the ongoing cabinet reshuffle to further limit his power or remove him from his post. The Popular Mobilization could also withdraw their fighters from the frontlines in areas like northern Salah al-Din and eastern Anbar, forcing the Iraqi Security Forces (ISF) to redeploy away from forward operations in order to re-secure these areas. PM Abadi’s appears to be undertaking a bold attempt to undercut the proxy militias, but he remains extremely weak and beholden to the whims of the political blocs. His survivability in office will rapidly diminish if his actions convince the proxy militias to move against him in earnest. Russia continues to target opposition forces and civilian infrastructure after brokering a “cessation of hostilities” agreement through the International Syrian Support Group (ISSG) on February 11. Russian air operations against the armed opposition have continued unhindered since the announcement of the agreement. Russian officials have reiterated that they have no plans to halt their air campaign against “terrorists,” which they have broadly defined to include all opposition groups threatening the Assad regime, including some receiving U.S. support. The “cessation of hostilities” agreement will ultimately leave Russian and other pro-regime forces free to continue anti-opposition operations throughout Syria. Meanwhile, aid organizations accused Russian warplanes of targeting four hospitals and one school in Aleppo and Idlib Provinces on February 15 alone. The reported attacks are a continuation of Russian targeting of vital civilian infrastructure, likely in an effort to soften the resolve of the Syrian armed opposition. Russia also has ratcheted up its military power in Syria since the agreement, with the deployment of the advanced Tu-214R intelligence, surveillance, and reconnaissance (ISR) aircraft to the Bassel al-Assad International Airport on February 15. The Tu-214R will likely work in coordination with the new Russian Su-35S warplanes to conduct quick and accurate precision strikes. Its deployment is another indication that Russia and the regime continue to pursue a military solution to the conflict in Syria. Russian-enabled Kurdish advances have applied additional pressure against opposition forces already strained by recent regime advances northwest of Aleppo City. Kurdish forces cleared over 10 kilometers of opposition-held terrain north of the city, seizing the town of Tel Rifaat, the Menagh Airbase, and at least five other villages from the armed opposition from February 6 - 16 with the assistance of Russian airstrikes. Given recent gains, Kurdish forces are positioned to seize the opposition stronghold of Mare’a located along the frontline with ISIS. Kurdish forces are also positioned to seize the town of Azaz located 10 kilometers south of Turkish border. Russian air support for Kurdish forces further escalates tensions with Turkey, which has responded to recent Kurdish gains by shelling recently seized villages adjacent to Azaz . Turkish officials called for the formation of a “secure strip” along Syria’s northern border with Turkey to protect the area from additional Kurdish advances on February 16, and have increasingly pressured the U.S. to cease support for Kurdish forces in the conflict.